BEST BUY IN BALDWIN PARK...Sought After Baldwin Park City Home with ROOFTOP SUNDECK! 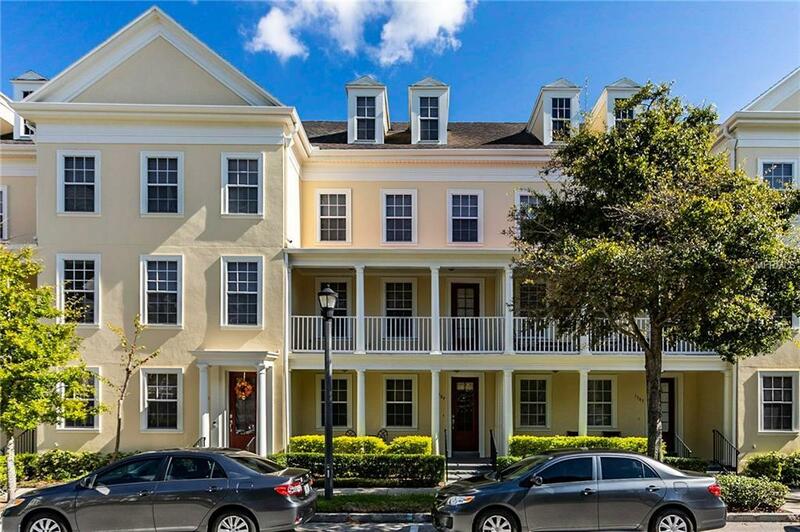 This STUNNING townhome located in the Heart of the Village Center just steps from Shopping and Dining options is a Must See! This Home has it All, With 3 bedrooms each with its own Private Bath, Open Concept kitchen featuring upgraded 42 wood cabinets, granite counter tops to include a Large Center Island and additional cabinets...the Main Living Space offers wood floors, Crown Molding and Designer Details throughout! Master Suite with large walk-in closet with California Closet type shelving and en-suite with double head shower, separate soaking tub and double sinks. Private Rooftop Sundeck, off Bonus Room, Great for Entertaining, watching Community Fireworks or Relaxing while Enjoying a Morning Coffee or Evening Cocktail! Live the Baldwin Lifestyle! Call today to schedule your Private Showing! Listing provided courtesy of Keller Williams At The Parks.